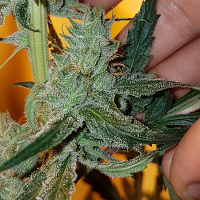 Blue Flame Regular Cannabis Seeds by Gage Green Genetics Seeds: Fire up your gardens with this refined mix of the world's most sought after medicinal genetics. Our desire was to create a haze-based strain line that blends the yield and appeal of the Super Blue Dream with the potency of the Inferno Haze. The Super Blue Dream has remained in our stables for its great breeding characteristics. This plant produces spears of sugar goodness which will stimulate creativity and energy in users. 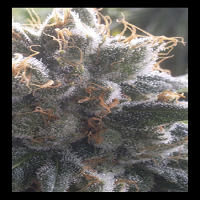 We enjoy its wider spectrum of sweet aromas, which expands on the unmistakeable Blue Dream flavors. Combine that with the peppery fuel smells of the Inferno Haze. In our selections, we came across a perfect potpourri of flavours that connoisseurs will enjoy. This cross will provide very strong medicinal options for patients who need a well-rounded medicine. 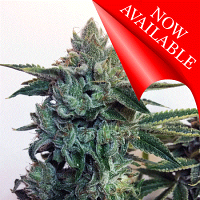 The selection will vary from indica dom hybrid to pretty heavy sativa dominant varieties. All of them provide a gentle relaxation as well as stimulation in the mind. Let the Blue Flame shine bright.